Factory fog lamps cost upwards of $700 BlingLights fog lamps install within the factory fog lamp spots, outperform the factory fog lamps and cost less guaranteed. Your favorite ride never looked so good. Experience the future of driving via an astonishing daylight-like visibility thanks to BlingLights BL-527w light technology. Featuring a fog and driving, light-on-road pattern fused with an intense HID simulated white output, BL-527w xenon lamps can be easily seen in virtually any light including direct sunlight. You can depend on these lights to cut through the thickest fog. Designed to imitate the appearance of ordinary dealership fog lamps, BL-527w lamps light like original fog lamps and is compatible with the factory wiring and or light controls. In addition to increased visibility, BL-527w includes everything needed to install, BlingLights’ BL-527w fog and driving lamp kit includes BLSW10, factory style illuminated toggle switch that blends cleanly into any flat surface within reach or out of sight. This listing includes a complete fog lamp kit for use on the model listed on both sides without the factory fog lamps or as a replacement for existing factory fog lamps. This listing includes everything needed to install and requires no other parts or extensive modification even if you don't already have the optional factory fog lamps. Does the kit include everything I need? Yes, the kit includes 2 lamp enclosures for both sides, powerful H3-55 watt 4100K bulbs, adjustable mounting hardware, complete wiring kit with relay and fuse, switch, photo installation directions, free phone and email support and 1 year warranty. What types of bulbs come with this kit? Two powerful, genuine BlingLights H3 bulbs with an output of 55 watts a piece, 110 watts total! These bulbs are designed for maximum output and durability. The bulbs generally last many years without the need for replacement. There is a good chance the bulbs will outlast the life of the vehicle. H3 replacement bulbs are a common size bulb and can be purchased through us or anywhere else automotive bulbs are sold. The lights are great and I use them almost every night. We get a lot of fog in the winter here on the west coast of Florida, and these lights project a perfect beam to cut through. They look great and fit perfectly too. Your product exceeds Nissans factory lights by far & at 1/6 the cost. These lights are VERY high quality with a sealed, heavy glass lens and strong housings. Everything else I saw on the market was all plastic. I am going to order another set as a backup for the future. Thanks again. BlingLights encourages our customers to share their photos and experiences in the BlingLights customer gallery. For any customer generous enough to share their photos and positive feedback just notify us and receive $5 instant rebate. Occasionally customers are chosen for their exceptional photos and helpful review’s to receive additional at no cost for you to review. In the event you are not satisfied with the purchase please notify us so we can try our best to resolve. Please notify us in the event any error in vehicle or product information is listed. In the event the item received arrives damaged or wrong item was ordered or shipped contact us and we will resolve immediately. You are entitled to a full refund for any reason if item is mailed back within 30 days of receiving item. Item must be in the EXACT brand new condition it was received along with the order number and reason for return. Keep the hat just for trying our product even if you decide to return. No RMA or prior authorization required in order to return. We are not responsible for any additional shipping charges which may occur to return products to us. 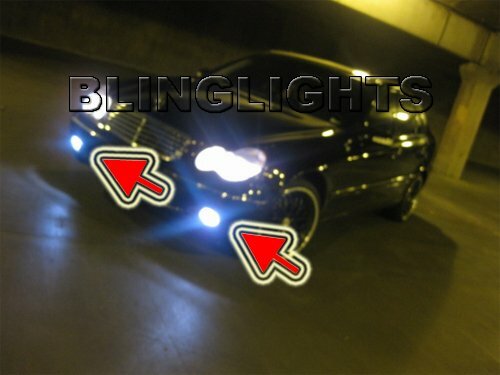 BlingLights will repair, or at our option, replace this product for up to 1 year from time of purchase. The NO FAULT provision of this warranty means that regardless of how the item may have been damaged or rendered unusable (fully or partially) by the Owner of the item, BlingLights will repair or replace the item without any questions being asked. To take advantage of this provision, enclose a money order for $25.00 (U.S. dollars) with the item to cover inspection, handling, and return shipping.